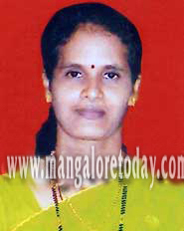 Udupi, Feb 22, 2015 : Helen Quadros (44) a woman from Hithlu house in Pangala who was admitted with injuries after being knocked down by a unknown vehicle here died due to the injuries. She was mowed down Feb 20 Friday afternoon, while travelling from Katpady to Shankarapura on her two wheeler scooter, when an unknown vehicle knocked her down at Subhashnagar. She was rushed to K M C hospital in Manipal with head injuries. It is said that she was in coma and breathed her last. The deceased is survived by husband and two daughters. Kaup police have registered the case. Such cases are on the rise and caution is called for along with proper remedialin measures.